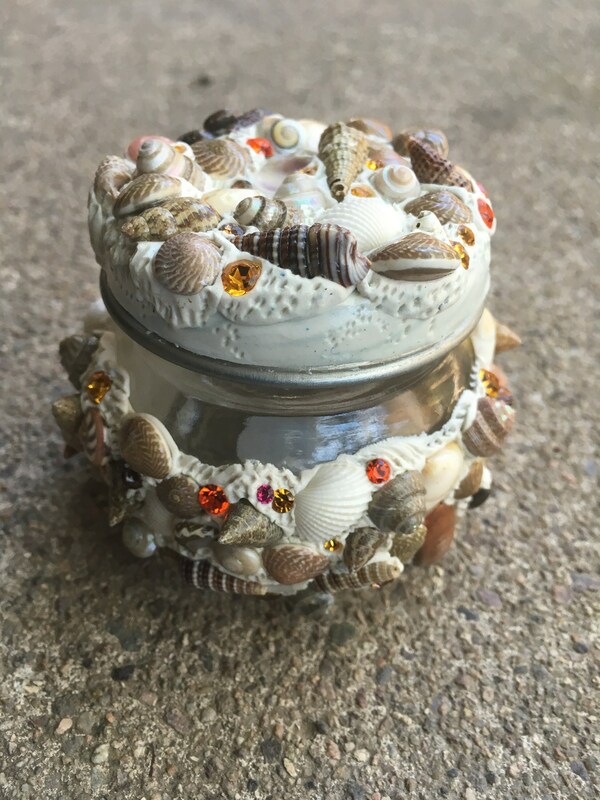 This Ocean Sand stash Jar is handmade using an recycled baby food jar. 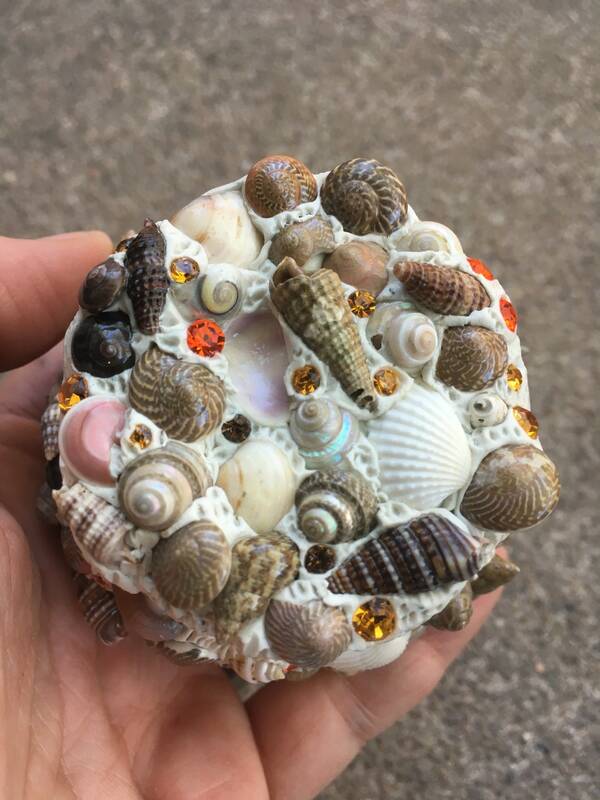 Each seashell and Swarovski Crystal is meticulously placed by hand and sealed with 3 coats of varnish. 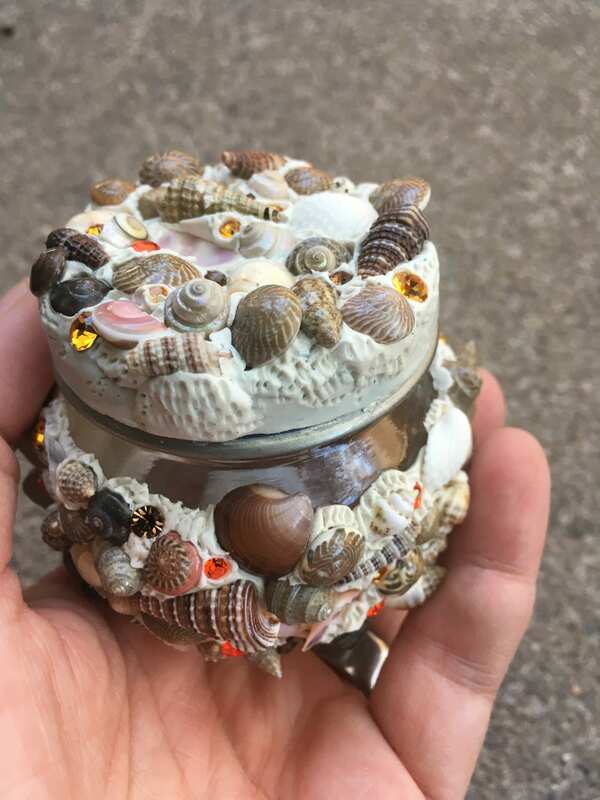 This jar is foodsafe but would probably be better used for desktop use. 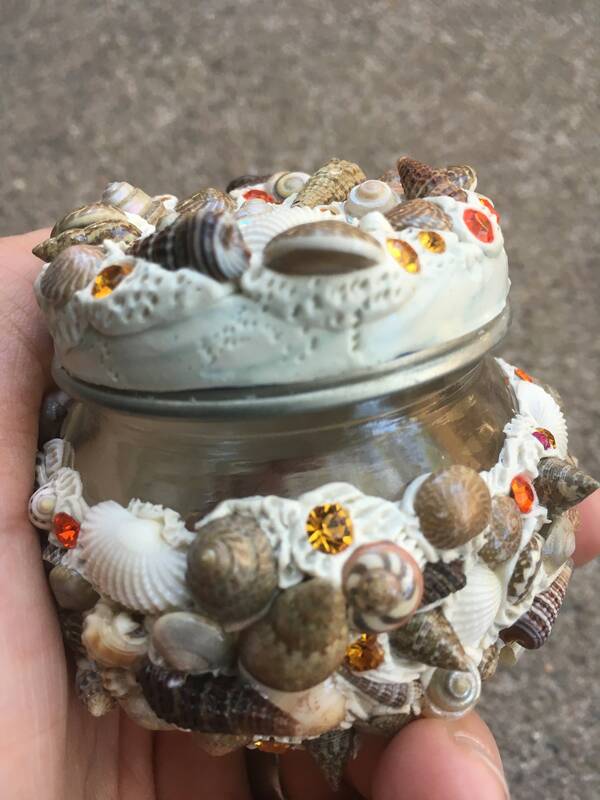 Would make a great accent for your work or home office desk to store paperclips, pushpins and the like. 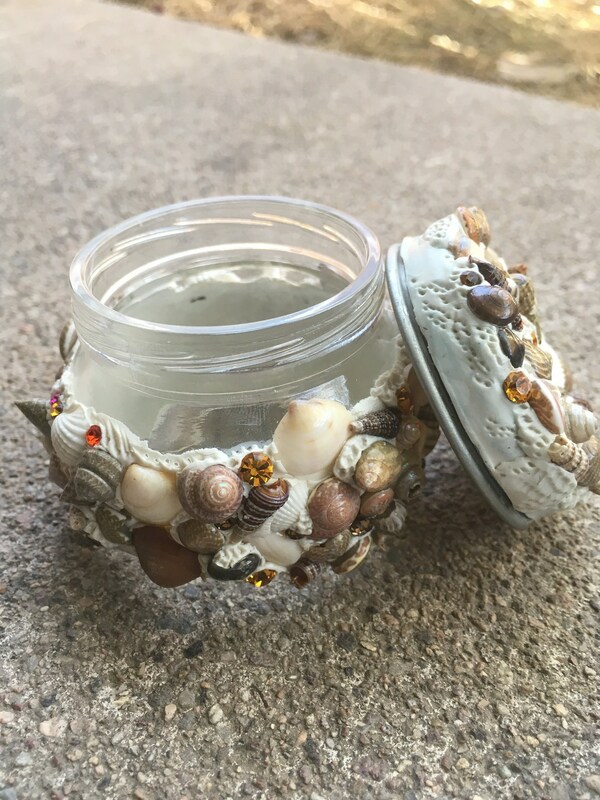 The jar and lid are wrapped in sculpted polymer clay, seashells and Swarovski Crystals and sealed. 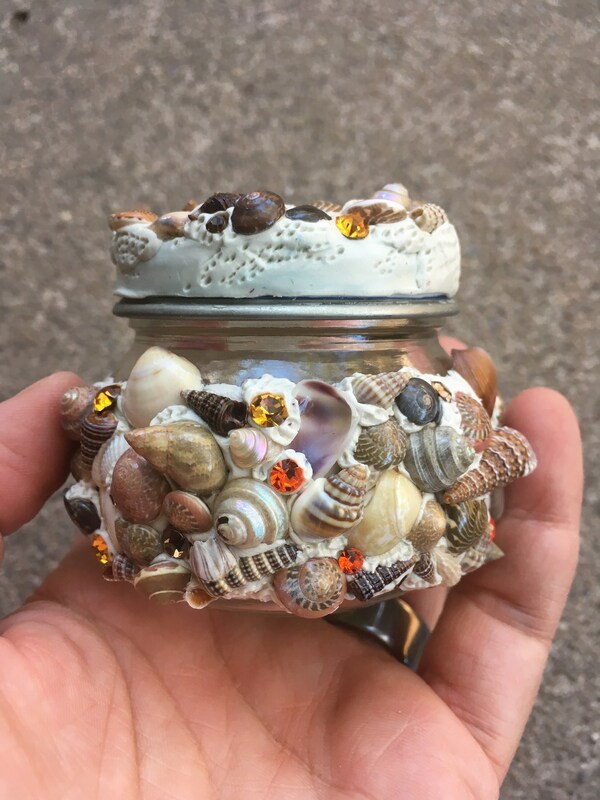 • 2" x 2.5" x 2.5"